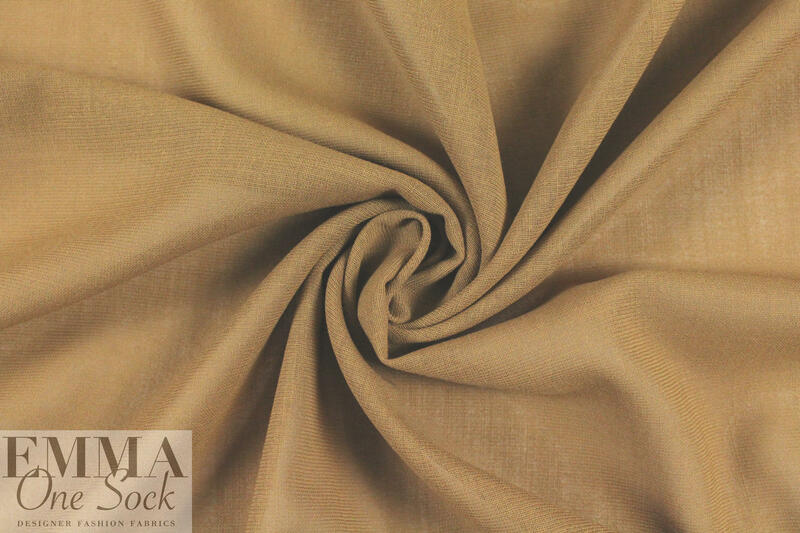 This is a beauty made in Italy, an exquisite gauze-like wool crepe fabric that is semi-sheer and lightweight, with a very soft hand and a somewhat "bohemian" look. 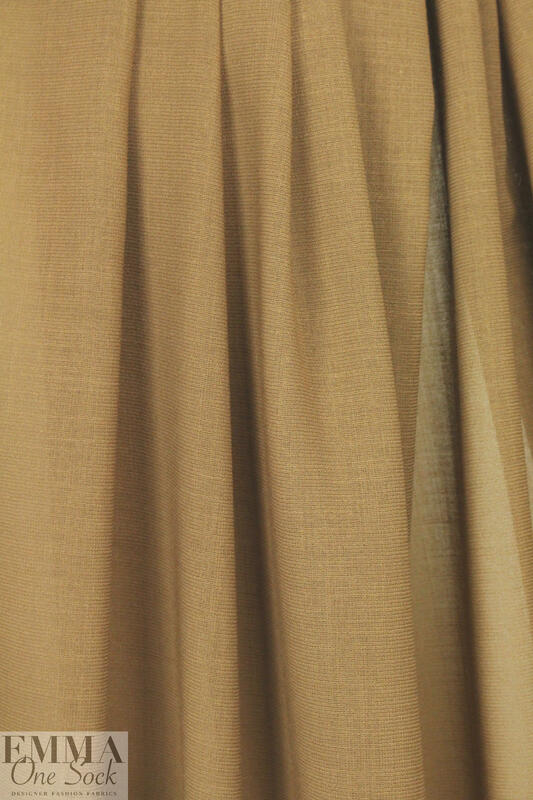 The color is a toasty, raw sienna brown (PANTONE 17-1226). Although it's wool, it's so light and airy that it will work in any season. 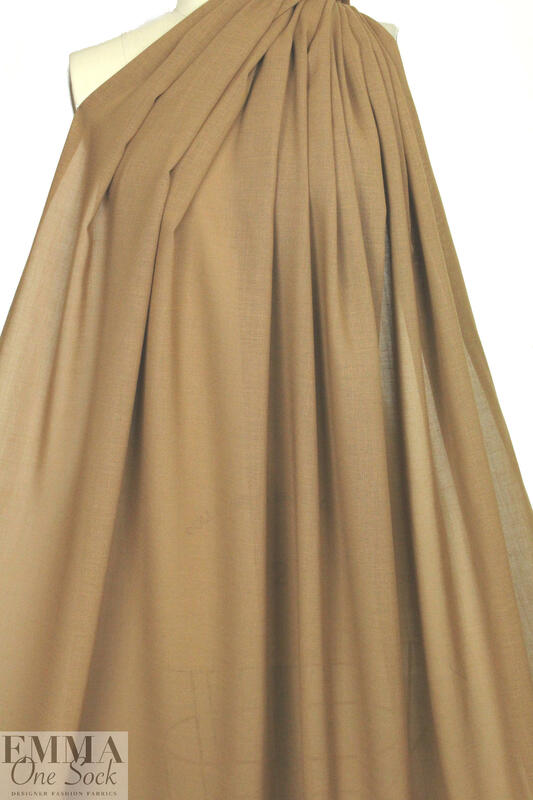 For garments with a casual elegance, this is perfect! Make a soft shirt, tunic, flowing skirt, etc. Same on both sides. Some styles may need lining or layering. Dry clean or test first if you wish to hand wash at home. 1.875 yds.